Over the festive period, we collected Christmas gifts for two fantastic charities, Home-Start UK and Mayday Trust. A great collection of toys, child and baby gifts were donated to Home-Start UK, whilst a fantastic range of books, films and gadgets to Mayday Trust. The M&N team also fundraised to help Oxford Homeless Pathways (supported by Mayday Trust) host a Christmas Dinner for homeless people in Oxfordshire. As a leading family support charity, Home-Start UK help families with young children to deal with the challenges they face. Home-Start's volunteers support parents as they learn to cope, improve their confidence and build better lives for their children. 16,000 volunteers support 30,000 families and 60,000 children across the United Kingdom. There are 269 local, independent Home-Starts, each with a focus upon home visiting volunteer support. Home-Starts also support families in groups, organise day trips, Christmas parties and assist with access to local services. 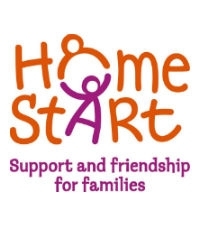 More information on Home-Start UK can be found on their website: www.home-start.org.uk. @HomeStartUK reached out to us on Twitter, posting: "Thank you so much, Merry Christmas!" The Mayday Trust assists people who are experiencing tough times such as homelessness, leaving care or coming out of prison. By investing in people's talents and abilities, Mayday Trust helps provide life-changing opportunities that overcome barriers and achieve aspirations. Based in Oxford, Mayday Trust provide support and accommodation to those in Northamptonshire and Oxfordshire. Direct support is provided through Mayday Inspire, their unique transitions service. More information on Mayday Trust can be found on their website: www.maydaytrust.org.uk. 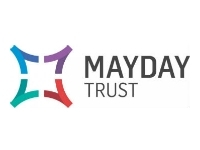 Pat McArdle (@patmcardle51), Mayday Trust CEO, took the time to post the following positive remarks on Twitter: "@mnheating Thankyou, what fantastic gifts and for choosing @MaydayTrust - great news!" Hannah Hickman (@hickmanhan), Fundraising at Mayday Trust, added: "Just picked up SO many Christmas gifts for people we work with from the amazing team @mnheating! Thank you SO much; SO appreciated!" The festive period is the perfect time to support those who need it most, especially in the local community. The M&N team were fantastic in their support and generosity, and were happy to donate to such an amazing cause. We just wanted to say a big thank you to all the M&N team, friends and family for their generosity and support over the past few weeks!